The difference between a heart attack and a cardiac arrest can be explained when we have a basic understanding of how the heart works. The heart is a muscle and as such it has its very own blood supply that delivers oxygenated blood. This oxygenated blood is transported to the heart muscle via the coronary arteries. The basic diagram below shows some of the hearts many blood vessels. 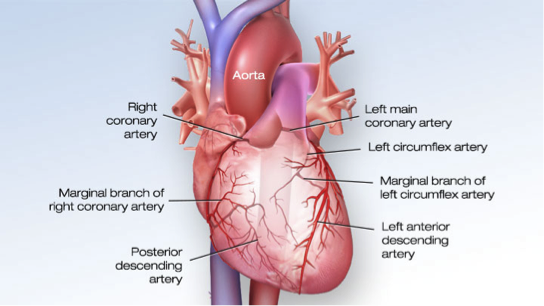 Sometimes, for various reasons, there can be a blockage in one of these coronary arteries. 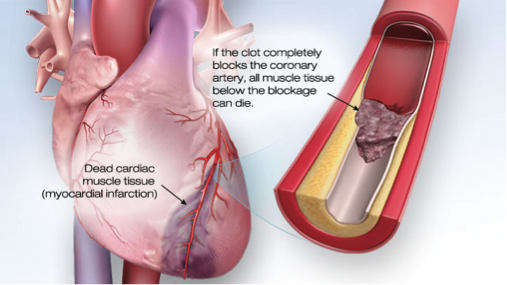 If this occurs, then the heart muscle below the blockage stops getting this oxygenated blood and can start to die. This blockage causes aheart attack. When someone is experiencing a heart attack, they may show signs and symptoms. If a person is exhibiting any of the below symptoms we need to seek medical attention. Heart attack symptoms can include pain, pressure, heaviness or tightness in the person’s chest, throat, arms, neck, jaw or back. They may feel dizzy or light headed, experience shortness of breath, feel anxious, nauseous, sweaty, or just “not quite right”. These symptoms can be mild, moderate or severe, they can be short lived – 10 minutes, or they can get progressively worse. If you suspect someone is having a heart attack you should call 000 as this is a medical emergency. The longer the heart is not getting oxygenated blood, the more damage that is occurring to the heart muscle. If the emergency services send an ambulance or if you end up in the emergency room, diagnosis of a heart attack is relatively easy. The medical professionals will organize a blood test, an ECG, and possibly an angiogram (special x-ray of the coronary arteries). Once diagnosis is made, then treatment plans can be put into place. If a heart attack is a plumbing issue, then a cardiac arrest can be described as an electrical issue. 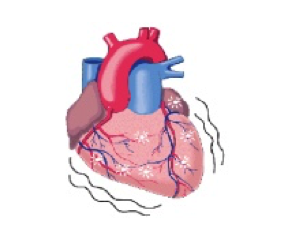 For the heart to contract, an electrical current runs across the heart muscle making it contract in a certain way. It starts at the top in the atriums, then down to the ventricles. When the muscle of the heart contracts, blood is pumped or pushed out around the body delivering oxygen and nutrients. Cardiac arrest can occur when either the electrical supply stops sending any currents, or when it fires off erratically. The most common misfiring experienced is that of ventricular fibrillation. When the heart muscle is in fibrillation, it behaves like quivering jelly, and when this happens it is not pushing blood out into the body effectively. Cardiac arrest is sudden; the person will collapse, stop breathing and have no heartbeat. This is a medical emergency. Call 000, and then start CPR on the person. If you have access to a defibrillator, commonly called a defib machine or an AED, then get this ASAP, turn it on and then follow the voice prompts. 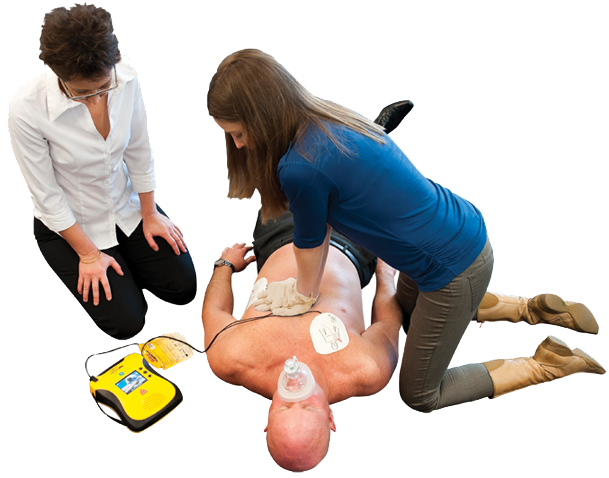 Defibrillation is THE treatment for cardiac arrest. The best chance for survival from cardiac arrest show that the AED should be used within 4-6 minutes of the person going into cardiac arrest. So in summary, a heart attack is a blockage in the coronary arteries (a plumbing issue), and a cardiac arrest is when the electrical supply of the heart misfires or stops (and electrical issue). Both are medical emergencies and need prompt emergency care.